Image Caption: Xinjiang Uyghur Muslims, unlike Thailand’s Patani Malays, undertook salient ethno-political action only at a time of a high perceived threat to their interests and of a low state capacity for repression. Several states in Asia have enacted constitutional provisions to safeguard the political, social and cultural rights of their ethnic minority groups. Underlying this approach is the recognition that state oppression of ethnic minority groups could spur a violent backlash that may prove detrimental to the territorial integrity of the state. Interestingly, the aforementioned relationship between state oppression and salient ethno-political action was not observed in Xinjiang, an autonomous region in Western China, despite broadly similar conditions there. Violent uprisings barely occurred during the Cultural Revolution (1966-1976), which also featured the extensive persecution of Xinjiang’s Uyghur Muslim minority sanctioned by the central government. Instead, violent ethno-political action largely emerged after Deng Xiaoping had formally declared the end of the Cultural Revolution during the 11th Party Congress (1982) and sought to champion ethnic pluralism. The Xinjiang case, therefore, calls for a more nuanced explanation for ethnic minority movements – what are the primary conditions that drive ethno-political action against the state? Therein, this paper presents a theoretical framework that identifies the confluence of a high, perceived threat to minority group interests and low state capacity for repression, as the key enabler of salient ethno-political action. The perception of a severe threat – which may exist independently of the “objective” degree of state oppression during the period concerned – enables the politicization of ethnicity. On the other hand, low state capacity for repression reduces the cost of ethno-political mobilization, compelling a violent response against the perceived threat. Structured comparisons of Xinjiang’s Uyghurs and Thailand’s Patani Malays will illustrate the framework’s robustness, affirming that state oppression is neither necessary nor sufficient to engender salient ethno-political action. Developments in both Xinjiang and the Patani region establish the correlation between the extent of state capacity for repression and the salience of ethno-political action. These factors prove to be mutually influencing, inversely proportionate variables. Indeed, one plausible causal explanation is that states with high capacity are more predisposed to withholding the minority group’s access to financial and material resources. More importantly, group awareness that the state has the will and means to crack down on separatist activity increases the cost of collective action, thereby limiting the ease of mobilization. Comparing ethno-political action in Xinjiang between 1958 and 2000, one can establish a negative correlation between the state’s capacity for repression and salient ethno-political action. I posit that the Chinese Communist Party’s (CCP) state capacity was higher between 1958 and 1976, when political consolidation was complete. Moreover, the state commanded a battle-hardened People’s Liberation Army (PLA) that had just emerged victorious from both the Chinese Civil War (1946-1949) and the Korean War (1950-1953). More notably, China had demonstrated her willingness to harness such material capacity in 1958, with the swift arrest of nearly 1,500 Uyghur critics of CCP rule. Conversely, state capacity declined between 1976 and 2000. Some may dispute this assertion, citing China’s tremendous economic growth under Deng Xiaoping’s Open Door Policy, which conceivably provided the financial means to strengthen defence and security capabilities over time. However, I maintain that state capacity had weakened precisely because of China’s economic imperatives post-1976. The pursuit of economic development prompted diplomatic overtures to Muslim-populated states to promote trade and secure oil resources. The growing strategic importance of these states to China’s economic interests, in turn, obliged China to “appropriate” her Muslim population to convince prospective trade partners that Muslim minorities enjoyed religious freedom. In short, China could not afford to repress the Uyghurs. The high state capacity that characterised the period between 1958 and 1976, most evident from the 1958 mass arrests, effectively removed a substantial pool of potential leaders capable of galvanizing the Uyghurs for ethno-political action. Moreover, the repression of these unarmed individuals signalled the state’s willingness to disproportionately put down local resistance and, by extension, raised the anticipated cost of mobilization. Consequently, the ’58-’76 period entailed the absence of armed separatist movements, merely an unarmed, “counter-revolutionary organization” that distributed “pro-independence publications.” Furthermore, the Uyghurs had not exploited Han infighting in Xinjiang in the late 1960s to escalate ethno-political action against the Red Guards, who championed ethno-religious persecution during the Cultural Revolution. Uyghurs were conspicuously uninvolved in the 1,300 clashes between the Red Guards and Xinjiang’s Han authorities from 1967 to 1968. Such inaction is remarkable considering how Uyghurs had previously capitalised on sociopolitical instability in 1944 to declare independence, when state capacity was conceivably lower during the Sino-Japanese war. Therein, divergent responses to domestic conditions could attest to the causal significance of state capacity. Furthermore, lower state capacity during the post-1976 period saw the Chinese state’s “first major confrontation” with the Uyghurs during the Baren Township Uprising of April 1990. Over 300 Uyghurs participated in a three-day uprising that resulted in 70 deaths. The event’s salience is further affirmed by extensive security countermeasures that involved 100,000 armed police patrolling Xinjiang in the immediate aftermath. More notably, the late 1980s also witnessed the rise of militant separatists such as the East Turkestan Islamic Movement (ETIM), deemed responsible for some 200 domestic terrorist attacks throughout the 1990s (Xu, Fletcher and Bajoria, 2014). Therein, I further posit a causal relationship between low state capacity stemming from China’s foreign policy objectives, and ethno-political action. Specifically, growing ties and “connecting infrastructure” with Central Asia accorded Uyghurs with access to transnational Islamist networks and resources for separatist activity. The ETIM, for one, allegedly received Al Qaeda funding, trained in Central Asia and established its Afghan headquarters in 1998. Similarly, developments in the Patani region of Thailand underscored a negative correlation between state capacity and the prevalence of salient ethno-political action. Regime instability from 1920 to 1979 prevented the Thai state from harnessing resources to consolidate power over territory – between 1932 and 1971, Thailand saw 12 coups, of which eight had succeeded. More interestingly, geopolitical circumstances during that period had also limited the government’s policy options. Foremost, Thailand feared that implementing counterinsurgency measures to root out Patani separatists would raise interstate tensions, especially as Patani sympathisers grew prominent in Malaysia in the early 1970s. “Kin-networks” with Malaysia’s Malay-Muslim majority prompted some Malaysians to support Patani separatism on the grounds of perceived religious discrimination by the Thai state. For example, the Malaysian Islamic Party (PAS), which governed Kelantan from 1959 to 1977, provided a safe haven to Patani insurgents. PAS had even allowed militant separatists from the Patani United Liberation Organization (PULO) to train on Malaysian soil. Conversely, state capacity post-1980 had arguably increased. Regime stability had improved – only one successful coup was staged within the period. Moreover, the period from 1981-1992 was marked by a warming of Thai-Malaysian relations. Both parties signed a bilateral agreement to strengthen security cooperation throughout the 1980s, and sustained multilateral engagement via regional institutions such as the Association of Southeast Asian Nations. Admittedly, these developments had not deterred separatist groups from leveraging on the resources of transnational Islamist networks for insurgency activity. Syrian and Libyan Islamists continued to train the PULO. Nevertheless, I argue that the militant separatists’ capacity for salient ethno-political action relative to state capacity for repression declined overall. Inter-state cooperation had increased the militant separatists’ probability of capture. For one, “coordinated military assaults” to enhance security along the Thai-Malaysian border prevented Patani militants from fleeing to Thailand. One such operation was held in 1983, when Malaysian troops successfully ambushed incoming militants fleeing from the Thai military’s crackdown (Antolik 1990, 61). Indeed, as the ambush suggests, differences in Thailand’s state capacity had engendered different outcomes. Low state capacity pre-1981 saw violent incidents in Patani reach a record high between 1968 and 1975, following the rise of armed separatist groups such as PULO and Patani National Liberation Front. Prior to the 1960s, rebellions also occurred, including the Dusun Nyor rebellion of 1948, which killed 400 Malay-Muslims and displaced thousands. Triggered by religious leader Haji Sulong’s arrest, the rebellion’s salience is affirmed by its separatist overtures that mirrored Haji Sulong’s earlier campaign for “cultural rights” and eventual independence. Conversely, growing state capacity saw the diminishing prevalence of salient ethno-political action. The efficacy of bilateral cooperation with Malaysia led PULO membership to decline from over 1,500 insurgents in the 1970s to just 500 in the 1980s. The fact that Thailand was not compelled to declare a state of emergency in Patani in the 1980s – but had done so in 1948 – attests to the diminishing salience of ethno-political action as state capacity increased. At this point, one could assert that high state capacity for repression increases the likelihood of ethno-political action, because repression generates “enduring legacies of… resentment,” potentially introducing a vicious cycle of state-minority violence. Nevertheless, to establish low state capacity as sufficient to drive salient ethno-political action would be unjustifiably deterministic. For one, salient ethno-political action had not prevailed in Xinjiang between 1949 and 1957, although state capacity for repression was undermined by China’s preoccupation with two large-scale wars and nation-building priorities. On the domestic front, the CCP was engaged in weeding out pro-Kuomintang forces to consolidate power. The killing of over two million Kuomintang insurgents between 1949 and 1952 suggests that the state’s instruments for repression (i.e. the PLA’s five million troops) could not be significantly diverted to repress Uyghur separatism. Indeed, despite the window of opportunity offered by the Chinese Civil War, the Uyghur leadership had not mobilised resistance against CCP authority. Rather, Burhan Shahidi, commander of Kuomintang’s Xinjiang garrison, promptly severed ties with Kuomintang and pledged allegiance to CCP when the People’s Republic of China was founded in May 1949. Even at a communal level, the sporadic rebellions from 1952 to 1954 also lacked a separatist agenda. These events collectively attest to the fact that low state capacity for repression, while necessary, remains insufficient to incentivize salient ethno-political action. State capacity, for one, does not adequately account for the appeal of separatism. Is state oppression a necessary condition? Having established that low state capacity for repression alone is unlikely to drive salient ethno-political action, it is worth exploring other necessary conditions that drive ethno-political action. As mentioned in the introduction, several studies seemingly imply that state oppression is one such dimension (Horowitz, 1990; Aphornsuvan, 2007). For example, Singh (2014, par. 6-7) directly attributed the “thriving” Uyghur separatist movement after mid-2000 to “widespread discrimination” practiced by Xinjiang’s economic migrants and authorities. In signalling state intransigence and assent to the discriminatory treatment of minorities, high state oppression conceivably appears sufficient to alienate minorities and increase the appeal of salient ethno-political action. However, I argue that state oppression is an incomplete, and therefore imprecise, explanation. It fails to explain why not all movements within the same spatial-temporal unit undertake salient ethno-political action. For one, not all Uyghur movements post-1990 harboured separatist agendas – some merely seek policy reform. Moreover, state oppression cannot explain Xinjiang’s situation post-1976, following Deng’s explicit abandonment of Mao’s oppressive policies. Discontinuing ethno-religious persecution, Deng sought reconciliation with the Uyghurs via two channels. He reinstated mosques and encouraged Han appreciation towards once-suppressed minority customs and languages. Deng also worked to improve socioeconomic conditions, including launching a trade and tourism campaign targeted at Central Asian states to boost Xinjiang’s border trade. Such initiatives expanded the Uyghur middle class, and even produced tycoons like Rebiya Kadeer. Interestingly, Kadeer later became a prominent Uyghur activist despite benefitting from Deng’s economic reforms, and salient ethno-political action had also emerged during that period. By implication, one may deduce that the level of state oppression does not co-vary with the nature of ethno-political action. In this section, I contend that a high perceived threat to group interests, as opposed to state oppression, is more pivotal in establishing the basis for salient ethno-political action. In that respect, my framework classifies state oppression as one of the various factors that influences the degree of threat perceived. In so doing, I recognise that salient ethno-political action can emerge independently of an increase in state oppression. Synthesising existing theoretical foundations, I argue that a high degree of perceived threat is necessary for ethno-political action because it enables the politicization of ethnic identity, a prerequisite for ethno-political mobilization. Simply put, when members of an ethnic group share a pervasive sense of threat, they develop ethnic consciousness and identify more strongly with one another. Having established theoretical support for my claim, I posit that it was relative deprivation, as opposed to deliberate state oppression, that drove the salient ethno-political action during the Deng Xiaoping era. It must first be recognized that Uyghur identity is characterised by “territorial ethnicity” – Uyghurs historically regard Xinjiang’s territory as central to Uyghur identity. Hence, by inducing massive Han migration that altered Xinjiang’s demographics, Deng’s policies effectively raised the perceived threat to Uyghur identity and, by extension, Uyghur interests. More importantly, while many Uyghurs prospered under Deng’s economic policies that sought to step up trade and industrial development in the region, the reforms also delivered an unintended consequence whereby the Han economic migrants benefitted disproportionately. Xinjiang’s economic progress had generated drastic socioeconomic inequalities between Han and Uyghur inhabitants that the latter could not overlook – whereas border trade grew 350% in 1992, Uyghurs in rural areas constituted 90% of inhabitants in Xinjiang’s most impoverished districts and earned 75% less than city-dwellers. Indeed, such inequalities had induced relative deprivation amongst the Uyghurs. Substantively, relative deprivation entails an extensive sense of discontent that drives social movements and, by extension, ethno-political action (Gurney and Tierney 1982, 34). Yet, beyond relative deprivation, Xinjiang’s development accentuated the Uyghurs’ perceived threat because the resulting economic inequalities exemplified the reality that Uyghurs were no longer “dang jia guo zu,” literally meaning “master of one’s house.” The fact that socioeconomic developments in Xinjiang underscored salient ethno-political action is evident from how Uyghur rebels, including participants of the Baren Uprising, demanded restrictions on Han migration and economic activity. Most importantly, the central government promptly addressed group interests, specifically Uyghur demands for autonomy – Mao even granted Saifuddin’s request to rename Xinjiang “Xinjiang Uyghur Autonomous Region” in 1955 to acknowledge the Uyghurs’ indigenous claims to territory. To this end, the fact that Uyghurs constituted 74% of Xinjiang’s cadres in 1951 reflects Uyghur support and political involvement. It also disputes the claim that Xinjiang’s autonomous status had been mere tokenism. Similarly, salient ethno-political action had emerged in the Patani region when state policies extensively threaten Patani Malay interests, but subsided when interests were safeguarded. In the ’20-’79 period, The Compulsory Education Act (1921) banned traditional pondok schools from teaching Malay and providing Islamic education. According to anthropologist Richard Bauman, ethno-cultural identity is preserved when it is constantly “reproduced by communicative practice.” By implication, banning the Malay and Islamic education effectively threatens the preservation of Patani Malays’ self-defined identity as “Melayu people.” Meanwhile, the systematic encouragement of Thai-Buddhist migration to the Muslim-populated South since the 1930s aggravated this threat, whereby state financial incentives prompted the migration of 100,000 Thai-Buddhists in the 1960s alone. Such is because Thai leaders consistently spoke of migration as a means to transform minorities into Thai-speaking Buddhists. The high perceived threat is exemplified by the Patani Malays’ 1923 uprising against the Compulsory Education Act, and PULO’s subsequent ability to garner an average attendance of 70,000 for its protests. Conversely, the decline in salient ethno-political action post-1980 unfolded alongside the decline in perceived threat following Prime Minister Prem Tinasulanonda’s 1980 pacification policy. The policy essentially involved discontinuing the coercive, assimilationist approach of his predecessors, thereby assuring Malay-Muslims of the cultural and religious freedom that was previously under threat. Indeed, while Deng’s promotion of ethnic pluralism did not entirely placate the Uyghurs, the Tinasulanonda administration’s move directly addressed the perceived threat to Melayu identity that had previously incentivized ethno-political action, thereby contributing to the absence of salient ethno-political action during his term. In the final analysis, I shall illustrate how salient ethno-political action ultimately stemmed from a confluence of high, perceived threat to group interests and low state capacity for repression. This framework is best exemplified by the absence of salient ethno-political action in Xinjiang throughout the ‘58-’76 period, despite intensifying religious persecution and political marginalization since the late 1950s. Indeed, Mao was relatively more predisposed to persecuting the Uyghurs in the 1960s leading up to the Sino-Soviet split. Tensions with the Soviet Union had reinforced Mao’s fear of the Uyghurs as a potential fifth column exploited by the Soviets to destabilise China. Such national security concerns prompted the CCP to dismiss 99,000 of its 106,000 non-Han cadres, banned Islam and Uyghur cultural practices, and destroyed thousands of mosques. Notably, by 1966, 70,000 Red Guards were already stationed in Xinjiang. Such practices effectively threatened the interests that Uyghurs had previously articulated and secured from the CCP, specifically that of regional autonomy. However, Uyghurs were not driven to stage separatist movements during this period. Rather than engaging in collective action against the state, 60,000 Uyghurs and Kazaks chose to seek asylum in the Soviet Union in 1962. Thus, developments in Xinjiang during Period 2 could potentially be explained by the theoretical framework at hand. In summary, I reiterate that salient ethno-political action is more likely to manifest when ethnic minority groups perceive a significant threat to group interests amidst low state capacity for repression. One can, at best, concur that state oppression constitutes one of the factors that would enhance the perceived threat to minority group interests, alongside non-oppressive developments that may threaten minority interests over time e.g. migration. The empirical study of Xinjiang and the Patani region demonstrate that the reversal of oppressive policies do not guarantee the resolution of state-minority conflicts – as affirmed by militant Uyghur separatism and the resurgence of Patani separatism in the early 2000s, the politicization of ethnic identity appears irreversible and may, at best, be suppressed in the short-term by disincentivizing ethno-political action. Indeed, solutions aimed at “modernizing” ethnic communities and their ancestral territory via language policies and economic reform often backfire, for they exacerbate the “second-class” status of minorities and are potentially perceived as threats to ethno-cultural identity. More importantly, consistent repression is unsustainable and similarly counterproductive, as state capacity would inevitably vary across time. Thus, the complexities of ethnic separatism should largely be addressed by genuine, long-standing negotiations that build trust between states and ethno-nationalist groups. Phyllis Ho is a final-year Global Studies undergraduate at the National University of Singapore, specializing in Northeast Asia, public policy and the Spanish language. She is working on a thesis that explores the politics and social policies of China and India, while also seeking to be better-acquainted with Latin American affairs. Phyllis can be reached at phillyho@gmail.com. Eller, Jack David. Cultural anthropology: global forces, local lives. Abingdon, Oxon: Routledge, 2016, 33. Horowitz, Donald. “Ethnic conflict management for policymakers.” In conflict and peacemaking in multiethnic societies, edited by Joseph V. Montville, Lexington Books, 1990, 462-471. Aphornsuvan, Thanet. “Nation-state and the Muslim identity in the Southern unrest and violence.” In Understanding conflict and approaching peace in Southern Thailand, edited by Imtiyaz Yusuf and Lars Peter Schmidt. 2nd ed. Bangkok: Konrad Adenauer Stiftung, 2006, 123. Gladney, Dru C. Dislocating China: reflections on Muslims, minorities, and other subaltern subjects. Chicago: University of Chicago Press, 2004, 227. Connor, W. “Terminological chaos (“a nation is a nation, is a state, is an ethnic group, is a…”).” In Ethnonationalism: the quest for understanding. New Jersey: Princeton University Press, 1993, 101. Gurr, Ted. “Minorities and nationalists: managing ethno-political conflict in the new century.” In Turbulent peace: the challenge of managing international conflict, edited by Chester A. Crocker, Fen Osler Hampson and Pamela Aall. United States Institute of Peace, 2001, 170. Holdstock, Nick. China’s Forgotten People: Xinjiang, terror and the Chinese state. London: I.B. Tauris, 2015, 41. Clarke, Michael E. 2011. Xinjiang and China’s rise in Central Asia: A History. Vol. 64. London: Routledge, 69. Increased PLA presence in Xinjiang post-1968 alleviated the sociopolitical instability. Hence, overall state capacity for repression remained high from 1958 to 1976. Van Wie Davis, Elizabeth. 2008. Uyghur Muslim ethnic separatism in Xinjiang, China. Asian Affairs: An American Review, 35(1): 23. The link to Al Qaeda was affirmed by both Russian and Chinese sources. In 2002, the US treasury department had also included ETIM in its list of terrorist organizations. Reed, Todd J. and Diana Raschke. The ETIM: China’s Islamic militants and the global terrorist threat. California: Praeger, 2010, 48. Xu, Beina, Holly Fletcher, and Jayshree Bajoria. “The East Turkestan Islamic Movement (ETIM).” Council on Foreign Relations. 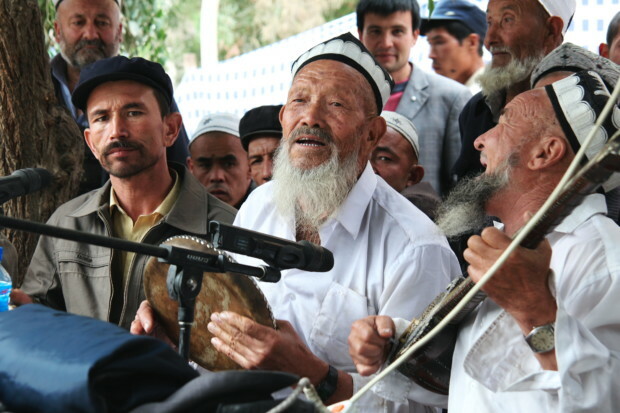 September 4, 2014. https://www.cfr.org/backgrounder/east-turkestan-islamic-movement-etim. Antolik, Michael. ASEAN and the diplomacy of accommodation. Armonk, NY: M.E. Sharpe, 1990, 57. Bajunid, Omar Farouk. “The Malaysian factor in the prospects for peace in Southern Thailand.” In Understanding conflict and approaching peace in Southern Thailand, edited by Imtiyaz Yusuf and Lars Peter Schmidt. 2nd ed. Bangkok: Konrad Adenauer Stiftung, 2006, 194-195. Tan, Andrew T. H. 2011. Security strategies in the Asia-Pacific: the United States’ “second front” in Southeast Asia. New York: Palgrave Macmillan, 71. Gunaratna, Rohan, and Arabinda Acharya. The Terrorist Threat from Thailand: Jihad or Quest for Justice? Washington: Potomac Books, 2013, 91. Suwannathat-Pian, Kobkua. “Historical identity, nation, and history-writing: the Malay Muslims of Southern Thailand, 1940s-1980s.” In The ghosts of the past in Southern Thailand, essays on the history and historiography of Patani, edited by Patrick Jory. Singapore: NUS Press, 2012, 240. Dorairajoo, Saroja, D. 2004. Violence in the south of Thailand. Inter-Asia Cultural Studies, 5:3, 456-466. Blaxland, John. “Thailand’s simmering security crisis gathers steam.” Asian Studies Association of Australia. October 7, 2014. http://asaa.asn.au/thailands-simmering-security-crisis-gathers-steam/. Epoch Times Editorial Board. 2005. Nine commentaries on the Communist Party. New York: The Epoch Times, 205. Zang, Xiaowei. 2013. Major determinants of Uyghur ethnic consciousness in Ürümchi. Modern Asian Studies 47 (6): 2051. Castells, Manuel. The power of identity. Malden, MA: Blackwell, 1997, 6-9. Furnivall, J. S. Colonial policy and practice: a comparative study of Burma and Netherlands India. Cambridge: Cambridge University Press, 2014, 304. Tambiah, Stanley J. Leveling crowds: ethnonationalist conflicts and collective violence in South Asia. London: University of California Press, 1996, 17. The Han Chinese went from being 5% of Xinjiang’s population in the 1940s, to 38% of the population in 1995. Bovingdon, Gardner. 2002. The not-so-silent majority: Uyghur resistance to Han rule in Xinjiang. Modern China 28 (1): 55. Saifuddin was the inaugural chairman of the Xinjiang Uyghur Autonomous Region. Bauman, Richard. “American folklore studies and social transformation: A performance‐centered perspective.” Text and Performance Quarterly 9, no. 3 (1989): 177. Grabowsky, Volker. Regions and national integration in Thailand, 1892-1992. Wiesbaden: Harrassowitz, 1995, 201. Eichensehr, Kristen, and W. Michael Reisman. Stopping Wars and Making Peace: Studies in International Intervention. Leiden: Martinus Nijhoff Publishers, 2009, 151. Ross-Harrington, Jonathan. “Separatist Insurgency in Southern Thailand: An Approach to Peacemaking.” In Stopping wars and making peace: Studies in international intervention, edited by Kristen Eichensehr and W. Michael Reisman. Boston: Martinus Nijhoff Publishers, 2009, 177. Antolik, Michael. ASEAN and the diplomacy of accommodation. Armonk, NY: M.E. Sharpe, 1990. Aphornsuvan, Thanet. “Nation-state and the Muslim identity in the Southern unrest and violence.” In Understanding conflict and approaching peace in Southern Thailand, edited by Imtiyaz Yusuf and Lars Peter Schmidt, 92-127. 2nd ed. Bangkok: Konrad Adenauer Stiftung, 2006. Bajunid, Omar Farouk. “The Malaysian factor in the prospects for peace in Southern Thailand.” In Understanding conflict and approaching peace in Southern Thailand, edited by Imtiyaz Yusuf and Lars Peter Schmidt, 191-239. 2nd ed. Bangkok: Konrad Adenauer Stiftung, 2006. Bauman, Richard. “American folklore studies and social transformation: A performance‐centered perspective.” Text and Performance Quarterly 9, no. 3 (1989): 175-84. doi:10.1080/10462938909365929. Bovingdon, Gardner. 2002. The not-so-silent majority: Uyghur resistance to Han rule in Xinjiang. Modern China 28 (1): 39-78, http://www.jstor.org/stable/3181331. Castells, Manuel. The power of identity. Malden, MA: Blackwell, 1997. Clarke, Michael E. 2011. Xinjiang and China’s rise in Central Asia: A History. Vol. 64. London: Routledge. Connor, W. “Terminological chaos (“a nation is a nation, is a state, is an ethnic group, is a…”).” In Ethnonationalism: the quest for understanding, 90-117, New Jersey: Princeton University Press, 1993. Eller, Jack David. Cultural anthropology: global forces, local lives. Abingdon, Oxon: Routledge, 2016. Eichensehr, Kristen, and W. Michael Reisman. Stopping Wars and Making Peace: Studies in International Intervention. Leiden: Martinus Nijhoff Publishers, 2009. Epoch Times Editorial Board. 2005. Nine commentaries on the Communist Party. New York: The Epoch Times. Funston, John. Southern Thailand: the dynamics of conflict. Singapore: Institute of Southeast Asian Studies, 2008. Furnivall, J. S. Colonial policy and practice: a comparative study of Burma and Netherlands India. Cambridge: Cambridge University Press, 2014. Gladney, Dru C. Dislocating China: reflections on Muslims, minorities, and other subaltern subjects. Chicago: University of Chicago Press, 2004. Grabowsky, Volker. Regions and national integration in Thailand, 1892-1992. Wiesbaden: Harrassowitz, 1995. Gunaratna, Rohan, and Arabinda Acharya. The Terrorist Threat from Thailand: Jihad or Quest for Justice? Washington: Potomac Books, 2013. Gurney, Joan Neff, and Kathleen J. Tierney. “Relative Deprivation and Social Movements: A Critical Look at Twenty Years of Theory and Research*.” The Sociological Quarterly 23, no. 1 (1982): 33-47. doi:10.1111/j.1533-8525.1982.tb02218.x. Gurr, Ted. “Minorities and nationalists: managing ethno-political conflict in the new century.” In Turbulent peace: the challenge of managing international conflict, edited by Chester A. Crocker, Fen Osler Hampson and Pamela Aall, 163-187. United States Institute of Peace, 2001. Holdstock, Nick. China’s Forgotten People: Xinjiang, terror and the Chinese state. London: I.B. Tauris, 2015. Horowitz, Donald. “Ethnic conflict management for policymakers.” In conflict and peacemaking in multiethnic societies, edited by Joseph V. Montville, 115-130, 451-75. Lexington Books, 1990. Ross-Harrington, Jonathan. “Separatist Insurgency in Southern Thailand: An Approach to Peacemaking.” In Stopping wars and making peace: Studies in international intervention, edited by Kristen Eichensehr and W. Michael Reisman, 147-184, Boston: Martinus Nijhoff Publishers, 2009. Singh, Ved. “The Kunming attack and China’s Uighur politics.” Foreign Policy in Focus. March 27, 2014. http://fpif.org/kunming-attack-chinas-uighur-politics/. Suwannathat-Pian, Kobkua. “Historical identity, nation, and history-writing: the Malay Muslims of Southern Thailand, 1940s-1980s.” In The ghosts of the past in Southern Thailand, essays on the history and historiography of Patani, edited by Patrick Jory, 228-254. Singapore: NUS Press, 2012. Tambiah, Stanley J. Leveling crowds: ethnonationalist conflicts and collective violence in South Asia. London: University of California Press, 1996. Tan, Andrew T. H. 2011. Security strategies in the Asia-Pacific: the United States’ “second front” in Southeast Asia. New York: Palgrave Macmillan. Zang, Xiaowei. 2013. Major determinants of Uyghur ethnic consciousness in Ürümchi. Modern Asian Studies 47 (6): 2046-2071. doi:10.1017/S0026749X12000558.